This post will provide a model for teaching and lifelong learning. Stay a learner and we can turn that into the best year of your professional life. We are all about improving student achievement. This means, for students to get better, we have to get better. Here are just a few variables that we DON’T have much control over: school funding, curriculum, campus policies, on-site management, bus schedules, school facilities, and student readiness. Let’s check on just a few of the variables that we DO have influence over: relationships we build (or don’t), lesson planning (or not), use of movement and activities (or not), infusion of relevance, the amount of feedback we give (and get), buy-in strategies, whether we are learners (or not), teacher clarity and passion. They have a rich, complex perception of moment-by-moment classroom situations and are more adept at monitoring student problems. They are savvy about knowing student progress, because they provide and get much more relevant, useful feedback. They are constantly developing and testing hypotheses about learning difficulties and implementing their subsequent instructional changes. In Visible Learning, Hattie ranks formative assessment in the top five out of 138 school factors which effect student achievement with a whopping 0.90 effect size. That means that, when implemented, it can raise student achievement by almost two years worth of growth. Studies have shown that regular use of classroom formative assessment would raise student achievement by enough to put the United States into the top five countries in the world (Black & Wiliam, 1998). These authors also propose a way to move through the school year, using formative assessment in ways that can help you become ravishingly successful. I’m going to borrow from their excellent work and add a few comments. #1: BEGIN WITH GOALS & EVIDENCE. This means clarify learning goals and explicitly show the criteria for success. USE these Classroom strategies: Share multiple examples of varying quality for the “final product” including exemplars. Discuss what makes each strong or weak, then allow students to describe attributes to their peers and have them place each in a sequence of quality. This demonstrates their evidence of learning about ranges of quality. BRAIN-BASED PERSPECTIVE: This places, in each student’s mind, a clear goal-target for matching to raise chances for success. #2: INITIATE STUDENT LEARNING. This means you’ve already begun with buy-in and relevance first. USE these Classroom strategies: Discovery learning, student reading, research, lecture and peer teaching. 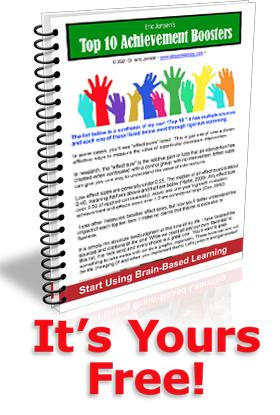 BRAIN-BASED PERSPECTIVE: Variety is essential since our brain can often become bored and even desensitize to any overuse of a single learning strategy. #3: ENGAGE FOR EVIDENCE OF LEARNING. Discover what students know and don’t know and initiate error-correction. USE these Classroom strategies: Effective classroom discussions, partner quiz, use of class-wide layered questioning, student rubrics, electronic feedback (clickers, tablets), peer edits, students use dry-erase boards, student generated quizzes or the use of “expert checklists” that you provide. Before a student turns in a short paper, their peer might review their paper against the checklist for things like name, title, topic sentence, introduction, claims, background, evidence or summary. When the paper “includes each of these”, the paper can be turned in. No judging or evaluating; this is just a checklist. BRAIN-BASED PERSPECTIVE: Initial learning typically forms a “rough draft”, but not the final corrected understanding. “Engaging for Evidence of Learning” provides the brain with feedback, which stimulates dopamine, which in-turn, fosters pleasure and effort. #4: USE FEEDBACK FOR DECISION-MAKING. The feedback is useless unless you do something with it to enhance learning for both your students and yourself. USE these Classroom strategies: If all the answers are correct, move forward. If most of the answers are correct, the old way was for the teacher to reteach the content differently, then use peer teaching followed by subsequent discussion and error correction. That strategy can work, and has for decades. Ultimately, you’ll want to grow your students into the next step (#5 below). BRAIN-BASED PERSPECTIVE: Feedback enhances learning when done well. One of the best ways is to ask students 1) where they are at, 2) what their goals are, and 3) how they plan to achieve them. #5: EMPOWER STUDENTS TO OWN THEIR LEARNING. Help them to better understand their own learning and become more responsible for it. Student “Self-help” lists. Say, “I have posted awesome lists of ways you can help yourself out. Pick one and give it a good try to see if it works for you. One of them will work; we just don’t know which one works best.” The list might include the following: ask more Qs in class, review work and talk it over with a partner or small group, summarize the learning daily, preview learning before class, work closer with a study buddy, create a mind map/graphic organizer of the content, ask the teacher for specific help, look up difficult things. BRAIN-BASED PERSPECTIVE: When students feel more control and engagement over the learning process, stress goes down and effort goes up. Let’s review what we have so far. Student achievement is important for all of us (students, teachers and the nation). You have a lot to do with how it turns out. Begin with goals and evidence. Initiate student learning, engage for evidence of learning, use feedback for evidence of learning and empower students to manage their own learning. 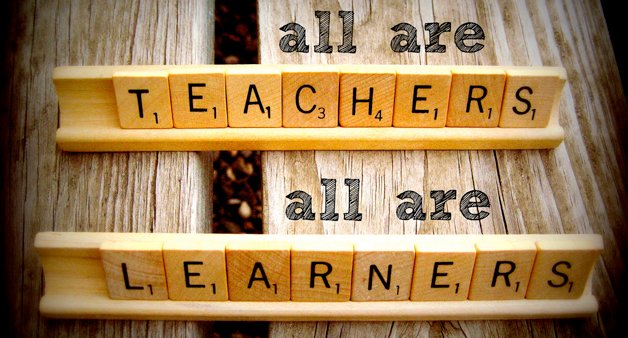 Turning everyone into lifelong learners (staff and students) is a brilliantly effective way to boost achievement. In fact, it may be one of the single best ways of all to improve your own teaching. this monthly newsletter and get ready for miracles! Feedback for me about this information? Just comment below or drop me a note: eric@jlcbrain.com. Black, P., Harrison, C., Lee, C., Marshall, B., & Wiliam, D. (2003). Assessment for learning: Putting it into practice. Buckingham, UK: Open University Press. Black, P., Harrison, C., Lee, C., Marshall, B., & Wiliam, D. (2004). Working inside the black box: Assessment for learning in the classroom. Phi Delta Kappan, 86(1), 8-21. Black, P., & Wiliam, D. (1998). Inside the black box: Raising standards through classroom assessment. Phi Delta Kappan, 80(2), 139-148. Cuttance. P. (1998). International handbook of educational change, Quality assurance reviews as a catalyst for school improvement in Australia, eds. Hargreaves A, Lieberman A, Fullan, M, Hopkins D (Kluwer, Dordrecht, Netherlands), Part 2, ppgs. 1135-1162. Text passage from pp. 1158-1159. Goodman, J. S., Wood, R. E. & Hendrickx, M. (2004). Feedback specificity, exploration, and learning. Journal of Applied Psychology, 89, 248-262. Hattie, J.A. (2002). What are the attributes of excellent teachers? In Teachers make a difference: What is the research evidence? (pp. 3-26). Wellington: New Zealand Council for Educational Research. Hattie, J.A., (2003). Teachers make a difference: Building teacher quality: What does the research tell us? Paper presented at the Australian Council for Educational Research Annual Conference in 2003. Retrieved on 3/18/12 from: http://research.acer.edu.au/research_conference_2003/4. Hattie, J.A., (2009). Visible learning: A synthesis of over 800 meta-analyses relating to achievement. London, UK: Routledge. Kluger, A., & DeNisi, A. (1996). The effects of feedback interventions on performance: a historical review, a meta-analysis, and a preliminary feedback intervention theory. Psychological Bulletin, 119(2), 254-284. Wenglinsky, H. (2002, October). How schools matter: The link between teacher, classroom practices and student academic performance. Education Policy Analysis Archives. Vol. 10, No. 12, pgs. 1-36. Funding by Princeton, NJ: The Milken Family Foundation and Educational Testing Service.